My latest confabulation is now available at Nature, in the award-winning Futures column. It was a fun piece of fiction to write — short, sharp, and packing a mighty wallop — and I hope that you enjoy reading it, too. As well, you can find my post about the writing of this story on The Futures Conditional blog, also hosted by Nature. Coming up shortly, my next short story is currently slated to appear in Interzone issue #265 in July. It’s a mighty strange one, which steps on pretty much every third rail known to mankind, and with even a title that has the potential to raise a large number of eyebrows. What can I say, I try to keep things interesting around here. (grin). I did a far-ranging interview last week with Nora Young, the host of CBC Radio’s national technology and trend-watching show called Spark. This question treads (or shall we say, shambles) into the widely neglected area of Inhuman Factors, a branch of Human-Computer Interaction that studies technological affordances for the most disenfranchised and unembodied users of them all–the undead. Fortunately for Nora, however, I am the world’s foremost authority on the topic. And I was only too happy to speak to this glaring oversight in how we design today’s technologies, one that I have long campaigned to redress. Needless to say, Zombie-Computer Interaction (ZCI) is an area rife with dire usability problems. You can listen to the podcast and see how Nora sparked the discussion here. Yes, zombies can use touchscreens–with appropriate design. The corpse has to be fresh. Humans are essentially giant bags of water; touchscreens are sensitive to the capacitance induced by the moisture in our bodies. So long as the undead creature has recently departed the realm of the living, then, the capacitive touchscreens commonplace in today’s technology should respond appropriately. Results also may be acceptable if the zombie has fed on a sufficient quantity of brains in the last 24-36 hours. Nonetheless, the water content of a motive corpse can be a significant barrier in day-to-day (or, to speak more precisely, night-to-night) interactions of the undead with tablets, smartphones, bank kiosks, and the like. In particular, touchscreens often completely fail to respond to mummies, ghasts, vampires, and the rarely-studied windigo of Algonquian legend–all due to the extreme desiccation of the corporeal form. Fortunately for these dried-up souls, the graveyard of devices-past is replete with resistive touchscreen technology such as the once-revered Palm Pilot handheld computer, as document in the frightening and deeply disturbing Buxton Collection of Input Devices and Technologies. These devices respond successfuly to the finger-taps of the desiccated undead because they sense contact pressure, not capacitance. Zombies can definitely use touchscreens; brains are good, MOAR BRAINS are better; and if you see a zombie sporting a Palm Pilot run like hell, because that sucker is damned hungry. What about ghosts? Can a ghost use a touchscreen? A ghost is an unholy manifestation of non-corporeal form. Lacking an embodied form, a ghost therefore cannot use a touchscreen–their hand passes right through it. But ghosts can be sensed by light, such as laser rangefinders, or the depth-sensing technology of the Kinect camera for the XBox. However, ghosts frequently can and do leave behind traces of ectoplasmic goo, which can cause touchscreens to respond in a strange and highly erratic manner. If you have ever made a typo on a touchscreen keyboard, or triggered Angry Birds by accident when you could swear you were reaching for some other icon–chances are that “ghost contact” was triggered by a disembodied spirit trying to communicate with you from the beyond. If this happens to you, I highly recommend that you immediately stop what you are doing and install every touchscreen Ouija board app you can find so that you can open a suitable communication channel with the realm of the dead. What about Cthulu–H. P. Lovecraft’s terrifying cosmic deity that is part man, part loathsome alien form, and part giant squid? Can Cthulu use a touchscreen? Studies are inconclusive. Scott’s great expedition to the Transantarctic mountains–where records of Cthulu are rumored to be hidden–vanished in the icy wastes, never to be heard from again. R. Carter et al. studied the literature extensively and promptly went insane. Other researchers, including myself, have been understandably dissuaded from examining the issue further. My opinion, unsupported by data, is that as a pan-dimensional being Cthulu can touch whatever the hell he wants–when the stars are right and the lost city of R’lyeh rises once again from the slimy eons-deep vaults of the black Pacific. A lot of PEOPLE are WORRIED about Lawyers. Can lawyers use touchscreens as well? Sadly, it is widely believed (and backed up by scientific studies) that most lawyers have no soul. Therefore the majority of lawyers cannot use a touchscreen at all. This is why summons and lawsuits always arrive in paper form from a beady-eyed courier. I’ve also fielded a variety of questions and strongly-held opinions from the far and dark corners of the Twittersphere. Needless to say, these are clearly highly disturbed individuals, so I recommend that you interact with them at your own risk. @kevC4D @MSFTResearch The gold standard sensing technique is known as parasitic capacitance. So definitely YES. @_xiang_chen_ Sadly, rigor mortis has strong negative effects on fine motor control. And zombies exhibit a strong tendency to gnaw off pens. All right. I think I’ve put this topic to rest. But keep the questions coming. Be sure to post in the comments below, or tweet me after midnight @ken_hinckley and I’ll do my best to give you a scientifically rigorous (if not rigor-mortis-ish) response. The editors, Colin Sullivan and Henry Gee, hand-picked their favorite stories for this anthology, all drawn from the last several years of the award-winning Futures column from Nature. The anthology thereby features many award winning authors, from Elizabeth Bear and Rachel Swirsky to Gregory Benford and Mike Resnick, to a personal favorite short-story writer of mine, the inimitable Ken Liu. And I’m thrilled to say that my contribution, The Ostracons of Europa, made the cut as well! 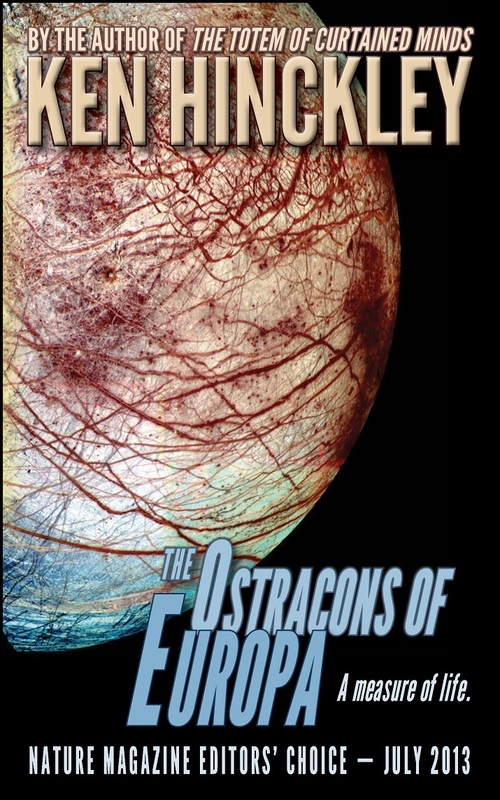 The anthology is only available as an e-book, but just for fun, and by way of celebration, I put together a special print edition of The Ostracons of Europa available as a stand-alone story–a collector’s item of sorts. It’s a very short story and makes for a very short book, but what the heck. My latest short story appears today in the new issue of Fiction River:Time Streams, a collection of 15 great time travel stories by newcomers and established professional writers alike, edited by Dean Wesley Smith. I’ve really enjoyed the first two volumes of Fiction River, so I hope you’ll check it out, and of course I hope that you enjoy my contribution, The Totem of Curtained Minds, as well. It’s really an honor to be included in this volume with so many other great writers, pulled together by a widely respected editor like Dean. The Totem of Curtained Minds is a moving story with a nice strong theme to it that I wrote in a paroxysm of blind inspiration from nothing more than the title. I often write short stories this way, pulling ideas from thin air and just letting the story come to me as it must, which is great fun and a great way to come up with some really unique ideas. “The Totem of Curtained Minds” by Ken Hinckley. In Fiction River: Time Streams, Vol. 1, No. 3, August 20th, 2013. Edited by Dean Wesley Smith (series editors: Dean Wesley Smith & Kristine Kathryn Rusch). Now available in electronic and trade paper editions from your local bookseller, Amazon, B&N, and Smashwords. Update: Time Streams, including my story, is now also available in audio from Audible.com. 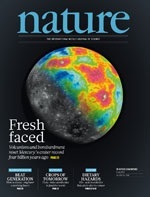 The current issue of Nature features my short story The Ostracons of Europa, a nifty story-of-revelation set on (you guessed it) Jupiter’s mysterious moon Europa. 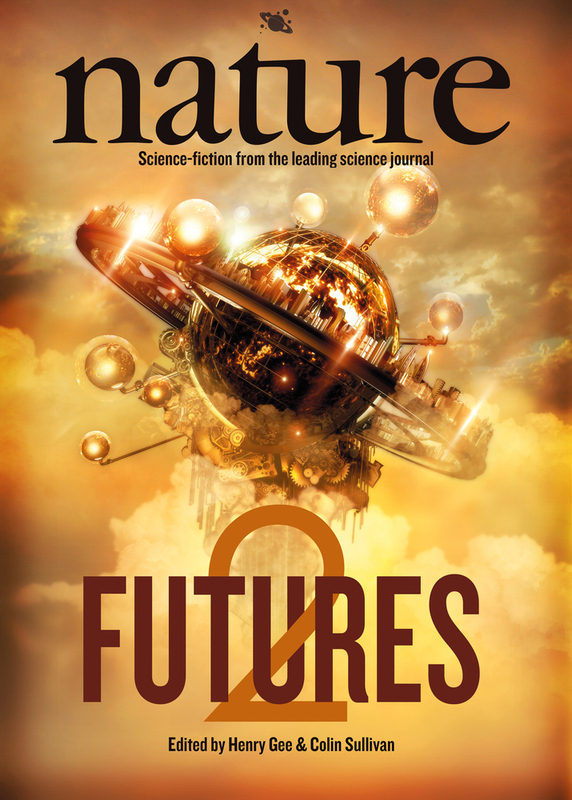 The story appears in Nature’s long-running (and award-winning) Futures column of short speculative fictions, edited by Colin Sullivan. I hope you enjoy it. Update: The editors at Nature picked my story as their favorite of the month for July 2013, and feature it in their free podcast, read by Henry Gee! Also available as an MP3 Download. I’ve also got a short story coming out in Fiction River: Time Streams, edited by Dean Wesley Smith, coming out next month (Aug. 20th, 2013). For details check out my Fiction tab. Published by Nature Publishing Group, a division of Macmillan Publishers Limited. All Rights Reserved. DOI: 10.1038/499120a. My alter-ego has a guest blog up on the Penumbra magazine site today that talks about how to succeed at creative endeavors. You know, writing and artwork, music and sculpture. All the good stuff. And yes, scientific research is very much a creative endeavor as well. In this short essay I also recount a story that Gary Starkweather, the inventor of the laser printer, used to tell about how he evaluated start-up companies, and I promise you will laugh when you hear how he did it. I used to frequent the hardware lab where Gary worked before he retired so I consider myself very lucky to have spent a lot of time talking shop with him and enjoying his jokes. And this one is one of my favorite of his stories that he would tell about working in Silicon Valley. Great fun. PS: Gary was also prominently featured in Malcolm Gladwell’s recent essay in the New Yorker about The Creation Myth. Seek it out – it’s a great read on the truth about innovation! Hi Folks and happy new year to you all. The blog has steamrolled past a thousand subscribers now (wow that came fast!) so welcome to all who have joined recently. And definitely feel free to leave a comment, question, or provocation– for me at least, a great post usually requires a great question to spur the dark recesses of my brain, so have at it if there’s a thought burning a hole in your mind. I have a new post in the works about the remarkable proliferation of devices in my briefcase which will be up soon… quite a fascinating little study in the digital ecology of e-readers and other gadgets that is turning out to be. In the meantime, I’ve added a Fiction tab to the blog header– I’m a research scientist by day, a writer of offbeat speculative tales and other literary abominations by night. Occasionally I even write stories that other people actually like to read. I’ll post any new publications in my treasury of wayward fictions up there as they come through the pipeline. I recently made a sale to Penumbra, a new professional-paying speculative fiction magazine from Musa Publishing, and the issue with my short story just went live a few days ago. It speculates on an unlikely bit of direct-input display technology that every guy secretly wishes he had. Check out my funny little tale and all the other great stories in the issue if you want an entertaining read. A high-tech urinal, a pointless workplace confrontation– what could possibly go wrong? You can help support a great new speculative fiction magazine by subscribing to Penumbra. Many established authors– as well as newcomers like me– appear in the pages of the magazine. Thanks and I sincerely hope the new year finds you well.